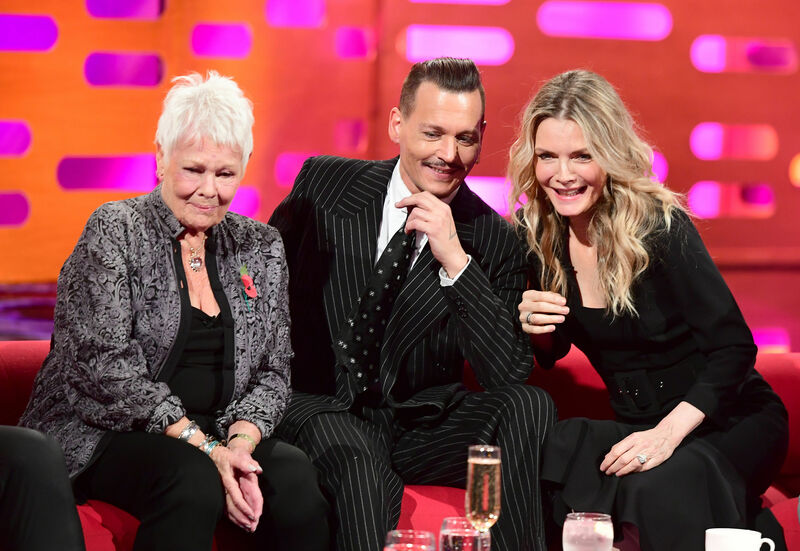 Johnny Depp caused a stir with viewers when he made an appearance on The Graham Norton Show to promote his latest film Murder on the Orient Express. Depp appeared on the chat show alongside his co-stars, Judi Dench, Kenneth Branagh and Josh Gad on Friday night. People weren’t angry about anything Depp said in particular on the show, it was more his appearance alone which left many taking to social media to complain. In the current climate, as more and more victims of abuse are speaking out about their experience of alleged abuse in Hollywood and in UK parliament, Depp’s appearance felt both inappropriate and disturbing. Last year the actor’s ex-wife, actress Amber Heard, was granted a restraining order against Depp after stating in her court declaration, ‘during the entirety of [their] relationship, Johnny has been verbally and physically abusive to [her]’. Heard claimed the last violent incident took place on May 21, only two days before she filed for divorce and provided the court with two witness accounts and photographs of her battered face as evidence. Depp denied the claims and instead his lawyers said Heard was attempting ‘to secure a premature financial resolution by alleging abuse’. In the end, a settlement was reached on August 16 which saw Heard receive $7 million and dismiss the restraining order against Depp. However it wasn’t just that which had viewers talking. Some people were left wondering if the actor was under the influence of alcohol following an earlier red carpet premiere for The Murder on the Orient Express in London. I got no reaction whatsoever – nothing! I then had to start describing the people I was shouting at so they knew I was real… it was exhausting and such a bad idea! Johnny Depp appears to have taken ALL the drugs’. Others said he looked as though he was having to be held up by security at the premiere.